What is the Difference between the Lumie Arabica & Brazil? 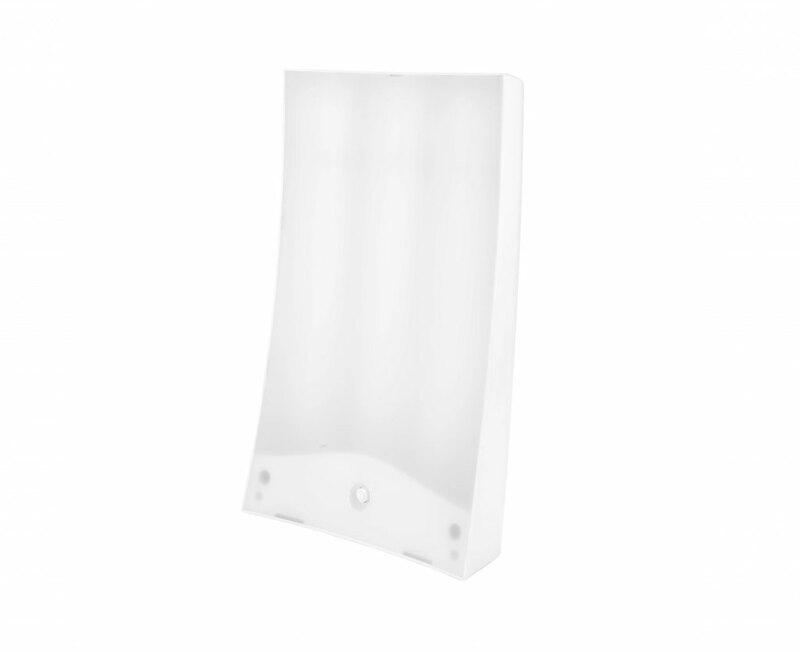 Lumie produce some of the most popular SAD lights and Sunrise alarms on the market, they have a large range of models that suit different needs and also different budgets. 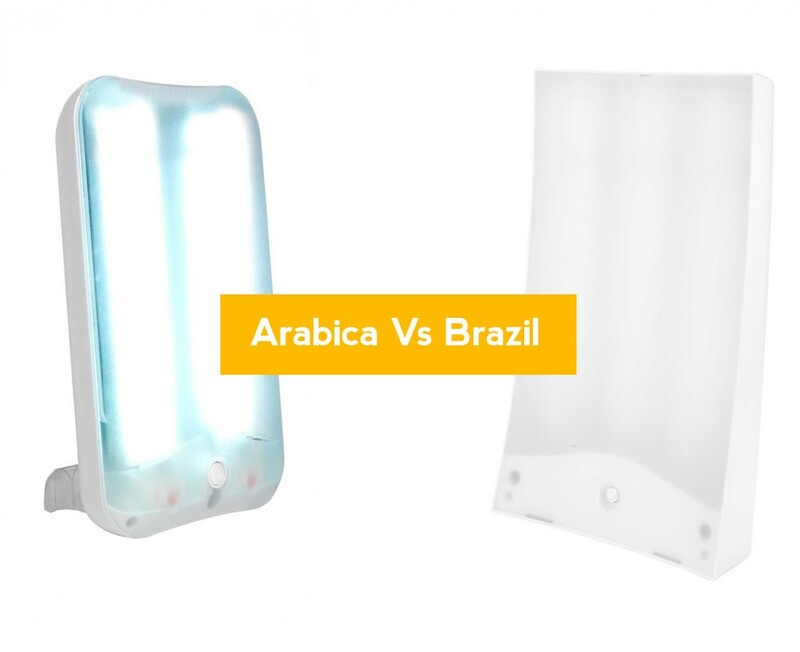 The Lumie Arabica and Lumie Brazil SAD lamps are similier in style and design, however there are some big differences. This model is cheaper than the Brazil, however this is due to the differences and size and also the power of it. The Lumie Arabica has two 24w daylight spectrum bulbs which generate 10,000 lux when used at a distance of 25cm. The bulbs generate a very bight white light and is ideal for use while at work on your computer or at home watching tv. 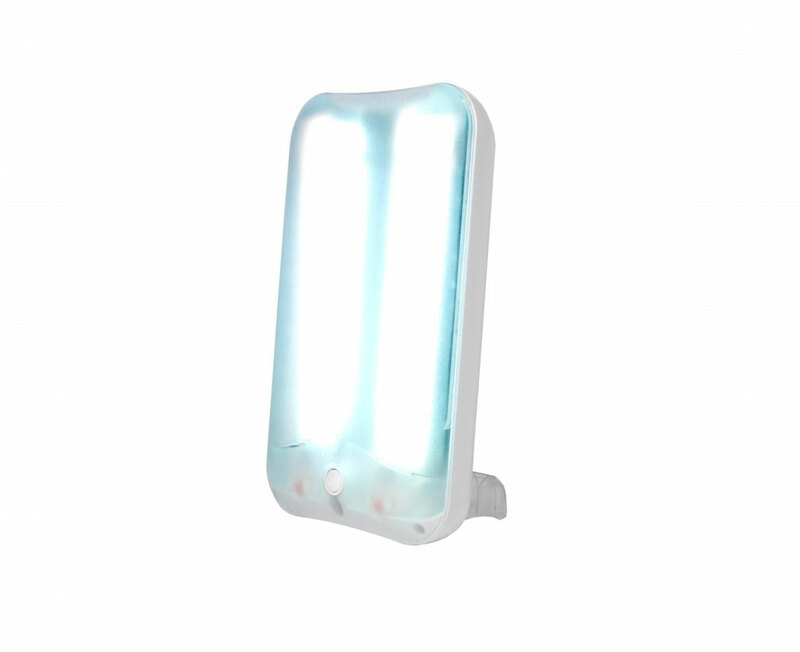 To receive the maximum benefits from the light box it is recommended to use around 30-60 minutes a day. This is the most expensive SAD light from Lumie and also their most powerful, it uses 3 powerful broad spectrum bulbs and has a curved design to help focus the light. When used at around 35cm away it produces a powerful and bright 10,000 lux. The 3 bulbs used produces a yellow and warmer light compared to the Arabica which is more white. With the large size of the unit and the use of 3 powerful bulbs it is a quicker treatment, so that you will feel a benefit from using this after just 30 minutes use a day. Read our Lumie Brazil SAD Light Box review here. So the main difference between the models is the speed of treatment, with the Brazil you don’t need to use it as much a day as you would with the Arabica, this is due to the extra bulb and intensity of the light allowing it to also benefit you when further away, compared to the other model which has to be used at a closer distance. This is really up to you and how much you want to spend, both are great lights and really it depends on where and how you would use it, if you would set it up at home where would it go and how would you make sure you are sat there close enough to benefit from it over a 30-60 minute period. Could it go next to you while watching tv? In the kitchen while having breakfast? Would you set it up and leave it at work? If you know how and where it will go, and how long you will use it a day it will help to select the model, there is no need to buy the Brazil which is more expensive if you can use the Arabica while watching TV and will be there long enough to benefit.